Ever since its launch in March 2017, Flutter has been making rounds in the developer community at the back of the several benefits that it has to offer to all – designers, developers, and the end users. And also on conversations driven by the notions that Flutter is Google’s product of experiment something that the tech giant is not serious about. But the Flutter Live Event held yesterday proved how the naysayers couldn’t be living in a bigger fantasy world if they thought Flutter has no future. While the acceptance that the community showed for the framework established Flutter as the ideal cross-platform mobile apps development tool, but whatever was left to be proved happened yesterday when Flutter 1.0 live was announced in front of a live audience from around the globe. Ever since last year’s announcement of a new development framework, Google has been constantly making additions and enhancements in the tool to make the prime choice and to close the gap between the Flutter vs React Native debate. 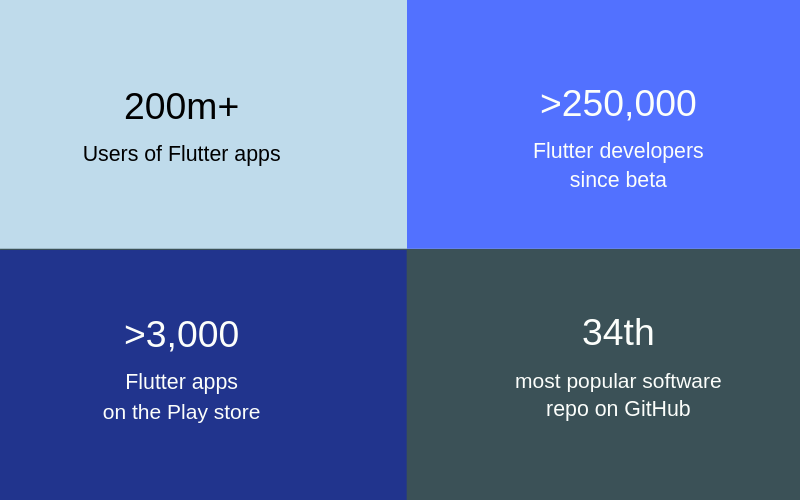 The rate of adoption that Flutter has seen from the developer community since last March, even when Flutter was available in a Preview mode has been something that the industry had never seen before. What started off as an adoption by Hamilton in its app, a number of brands soon joined the Flutter Bandwagon proving the framework’s efficiency to only a greater extent. In the ode to taking the betterments steps ahead, Google held a Flutter Live Event in Science Museum, London, where apart from the fifties of audience crowding the auditorium, thousands of others from around the globe joined in from their home. And now the event has marked 4th December – the Flutter 1.0 Release Date – as the date when mobile app industry revolutionizes. This roundup article is for those who missed seeing the announcement of awesomeness happening in person. Let’s begin with giving you a walkthrough of how the event passed. The Flutter Live Event held yesterday started off with Tim Sneath thanking everyone for contributing into the dream to reinvent how User Interfaces are built. What followed an echoing round of applause was the declaration of Flutter vision where Google sees the cross-platform mobile apps development framework as a powerful, general purpose, open UI toolkit for building stunning experience on any device. The presentation started with the realization that the mobile app developers compromise between the development of the same app multiple times on multiple platforms or accept the lowest common denominator solution which trades native speed and accuracy for portability. With Flutter the Compromise is Over – is what the audience there and the thousands of live audience heard next in a loud and clear voice. Beautiful – Flutter comes with a palette tool that gives complete control over the pixel. The pixel-perfect widget, designed in accordance with the Material Design guidelines help develop tailored brand experiences, which result in award-winning apps. Speed – Powered by Skia hardware accelerated graphics, Flutter supports glitch free and jank free graphics at the native speed of display. The speed in terms of both development and app loading is extremely high in mobile applications made using Flutter framework. Productive – The hot-reload functionality that Flutter comes with allows developers to view the impact of changes that they are making in the code on screen in real time. Something which increases the productivity level to a huge extent. Open – Everything about the Flutter line of codes from source to contributor detail and extensibility is open to read, fork, and extend. The fact that Flutter is even licensed freely makes it ideal for developers who are just starting up with the world of cross platform mobile development to learn a new framework. Mix these four capabilities to the best in class tooling for the Android Studio and Visual Studio Code and Flutter app development companies get a platform that develops beautiful experience for iOS and Android with a single codebase. With the power of Flutter now conveyed to the audience in the open, the presentation took an interesting turn where the capabilities of Flutter were shown on a practical setup through an app made on Flutter – ‘History of Everything’. It started immediately because of the Flutter architecture that compiles everything ahead of time to code. The experience between Flutter build iOS release and Android was completely natural, placing the learning curve to be an absolute minimum. The full of the animation app was developed in under 3 months with just 6,000 lines of codes – which included the time it took to integrate Google Maps in the app. From this point on, the Flutter Live Event event turned into an influx of Announcements. Ones that the Flutter community, from both Android and iOS side, were desperately waiting for in anticipation of. Announcements that proved how when we were waiting for the next big mobile app revolution, Flutter was becoming a force to reckon with. And now with Flutter 1.0 Live, it’s ready. The Flutter and Material Design team have together made a reusable widget design that has the integral design components of both – Google Material Design and Apple’s Cupertino. Flare – the 2Dimensions flagship offering is now integrated with Flutter. The tool makes it possible for developers to make and export 2D vector design and animation straight from the Flutter toolkit. It brings designers and developers on the same platform, which was earlier divided into two parts. 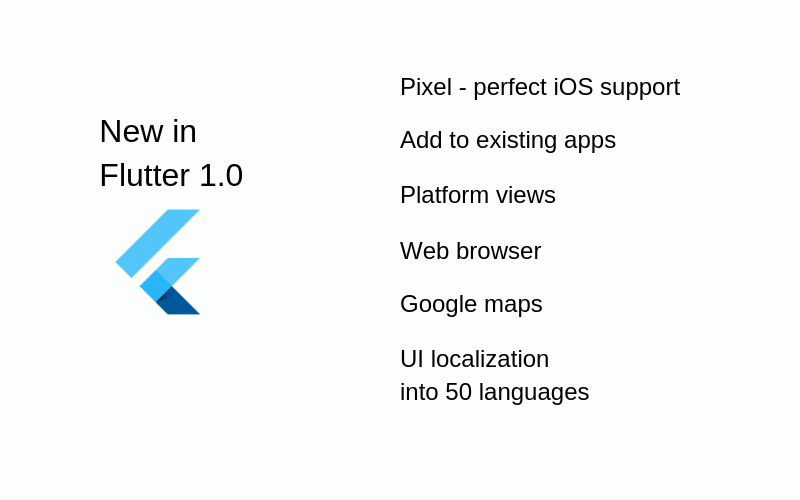 Flutter 1.0 comes with the upgraded version of Google Dart programming language – Dart 2.1 – a powerful language that has compile-time check and works with the promise of heightened performance and very low code size. Flutter 1.0 comes with a Firebase SDK that support a lot many things than earlier restrive ones. 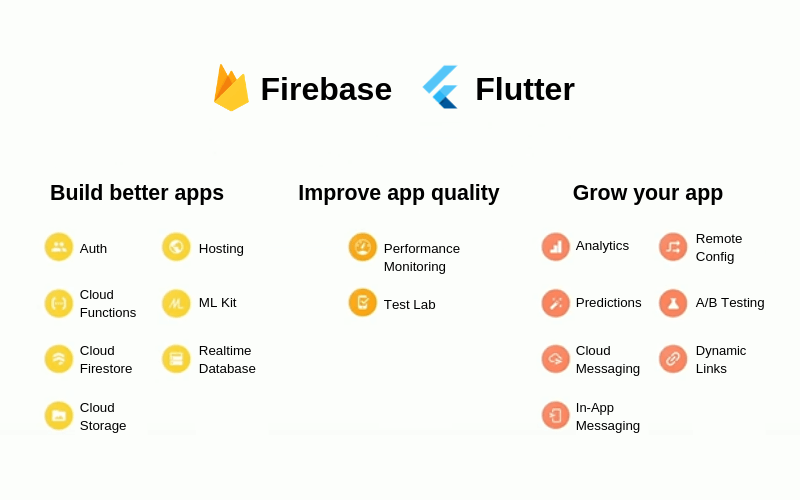 Together, Firebase and Flutter are making apps that are better integrated, have better quality, and grows with some intricate Firebase functionalities. 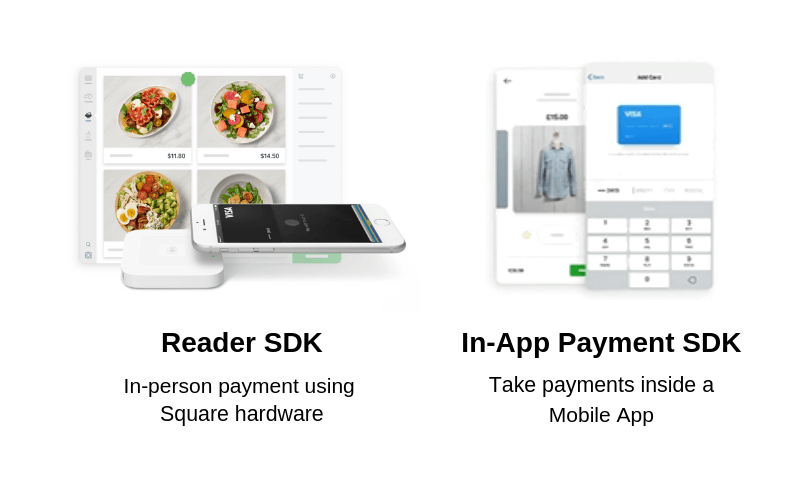 Square, the biggest payment solution provider has now extended to Flutter with two plugins. A – Reader SDK and B. In-App Purchase SDK. Under the Reader SDK they are making it possible for users to do in-person payment via Flutter and with the In-App Purchase SDK option, they are introducing the option to take payments inside your mobile app – something that will elevate the payment centric offerings by the several Flutter app development companies. Nevercode – the commonly adopted build system has now been integrated with Flutter with Codemagic. The integration makes it possible for the developers to create build and then publish the app on the store straight from the build system. Although still in works, the biggest announcement after Flutter 1.0 made in the Flutter Live event was the possibility that Flutter will move ahead from Mobile space to Web and Wearables – on screens of different dimensions. With announcements like these and promises like Multi-Platform embedding and Hummingbird, Flutter is keeping up with the strategy that Google launched it to fulfill. One thing that is now established with the announcement roundup of Flutter Live event that a powerful, stable framework to develop stunning apps with code line count and development time a lot lower than the one associated with Native App Development is now here. It is now time for you to get on the Flutter Bandwagon. Contact our team of mobile app developers to get started with the development of stunning apps at half the time, effort, and cost. 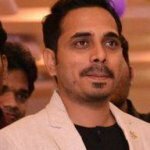 “Why Should Android and iOS App Developers Consider Flutter in 2019?,�?